I think I first saw Gone With the Wind when I was about 4 or 5 years old. At that time, I had no idea what the movie or story was about, but I did know one thing- I wanted those dresses! 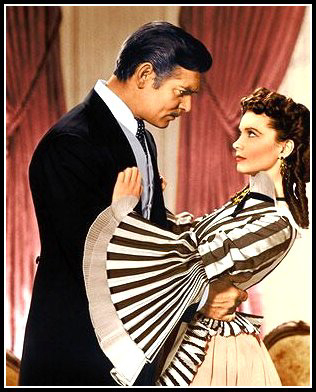 As I got older, I kept coming back to Gone With the Wind– not only for the dresses, but also for Scarlett O’Hara. To me, she is, and always will be- the ultimate fashion icon. And Gone With the Wind is the ultimate fashion film. 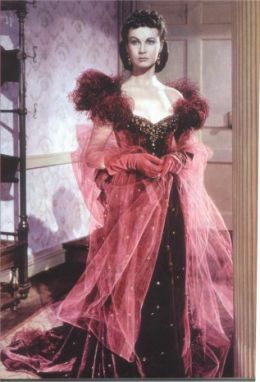 So many of the best moments in Gone With the Wind are centered around Scarlett’s wardrobe- from the early barbebue scene and her refusal to wear something “more fitting for a young lady,” to her glorious red dress entrance at Ashley’s birthday party- fashion steals the show, and drives the story. 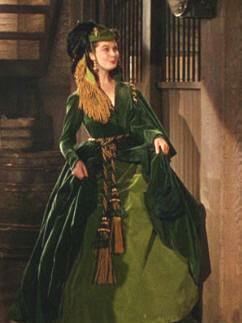 But it’s through Scarlett O’Hara that I came to understand the true transformative power of fashion. And this why I decided to make my first “behind-the-seams” blog entry about my ultimate inspiration. Even though I’ve yet to create a dress out of draperies:), she’s taught me quite a lot about resourcefulness, creativity, and vision-when it comes to fashion.